Not everything is meant to be square or rectangle. This unique hand printed circle elephant tapestry will look great on any dorm room wall or apartment. Great for a yoga mat too. Because each item is unique, & it is not possible for us to inventory, or change pictures every time someone buys one, color schemes may vary slightly. 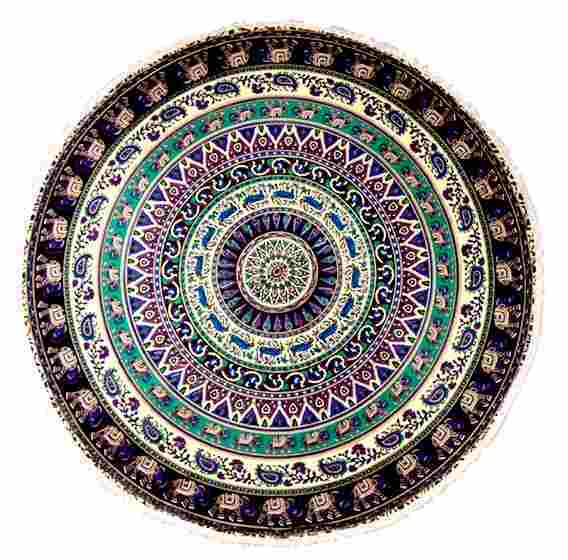 This beautiful round tapestry wall hanging measures approximately 75" in diameter..